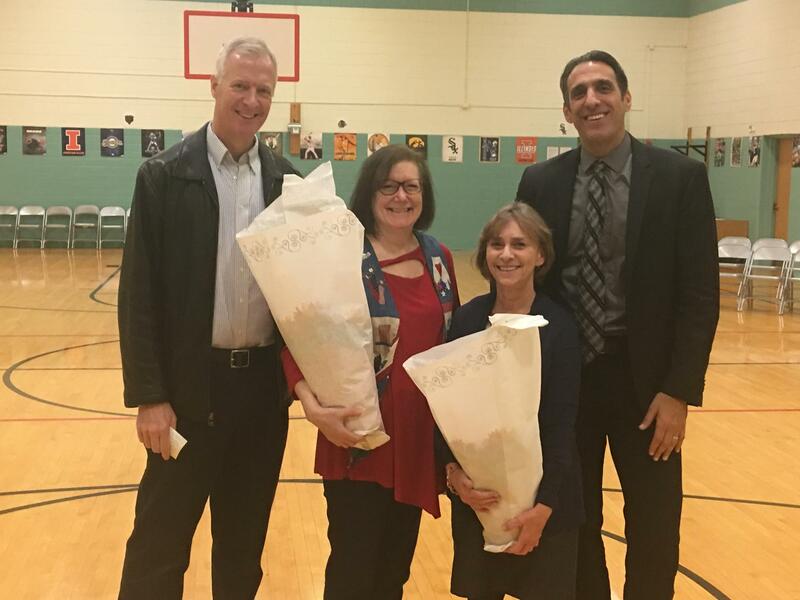 The Board of Education for the Westchester Public Schools is very pleased to announce that first grade teachers Barbara Lappe and Ricki Schlau have been named District 92½’s “Persons of the Year” for 2018. Mrs. Lappe and Mrs. Schlau will be honored at the annual Chamber of Commerce event, “Celebrate Westchester,” on Saturday, January 26, 2019. For their commitment to our students and our District, we are pleased to honor Mrs. Barbara Lappe and Mrs. Ricki Schlau with the District 92½ "Persons of the Year" Award for 2018. Please join the Board of Education in extending heartfelt congratulations to Mrs. Lappe and Mrs. Schlau. We are also pleased to share with you that Oscar Guerrero (Parent) and the LBS/Interventionist Team at WMS (Anthony Becker, Debbie Jankiewicz,and Chris Schoenhardt) were nominated and considered by the Board of Education for the “Person of the Year” award. We would like to extend our heartfelt thanks to Mr. Guerrero, Mr. Becker, Ms. Jankiewicz, and Ms. Schoenhardt for all that they have contributed to our schools. People working together on behalf of the district’s students are what make the Westchester Public Schools a special place to work and learn.